Google has welcomed 2015 with some remarkable updates. 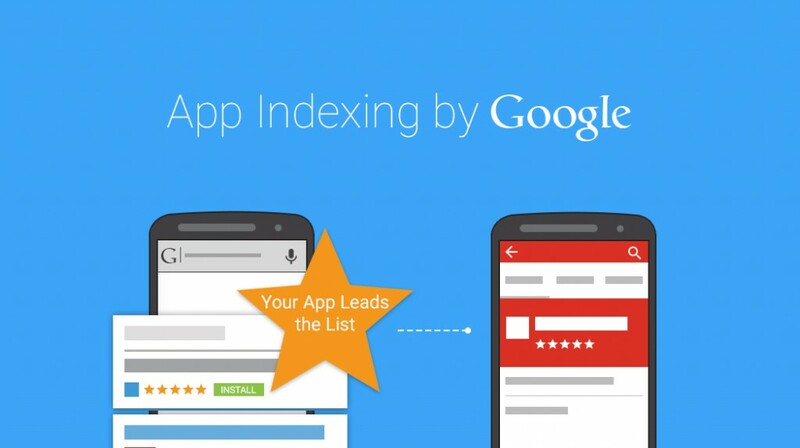 Google has now come up with an API that could be used for indexing the app content. The API called the Mobile App Indexing is a revolutionary development that manages to overcome the shortcomings that Google faced when using spiders for crawling the app content. In Google’s Mobile App Indexing API, the developers report Google about the content that is available in the app and the correlating URL on their website. It is then that the users are offered the option to view the content on a web page or within the app. – The course of action begins with the developers deep linking their app from the Developers Console. – Followed by this, they will have to connect the app to their website. – Check if the app has been set up to work with Google Play services. – The developers will have to set up “intent filters”. These are helpful in letting Google know when a user is viewing a content section, the title of content and the web pages that have duplicate content. Whenever some user views some of the content in your app, Google is notified that the content exists in the app, through app indexing API. Later, when a user would search for corresponding content, Google will offer them the option of viewing the content in your app. With Google’s Mobile App Indexing API, the users can easily navigate to the content it already knows is available within the app. This varies as compared to the scenario of Google using the API to determine and examine fresh content it did not know existed. In nutshell, Google will be facing difficulty in understanding if the app’s content should outrank the competitor’s web page content. However, if in case Google knows that the content on your site outranks the competitor’s site content, it will happily direct the user to content on your app. – Even though Google manages to navigate a user to the app content, the overall ranking is decided based upon web version of the content. What matters here is if the user has downloaded the app and if he is spending significant time using the app. – In case, the app content does not have corresponding content over web page, there are chances for the app content to get outranked by other web pages. – Websites allow Google to have a look at links, evaluate the user behavior, social activity, page structure, site themes, and other associated signals. All these help in identifying whether the site has high-quality content, worth number one ranking. However, with apps, these signals do not even exist so far. Right now, the SEO for app is less about optimizing the app and more about optimizing the Website version of the content and linking of content to identical content. Google gets to decide, which version they wish to show the search. However, in coming future Google will offer the users with the freedom to submit all of its content through Indexing API.